JC: “Sacrifice is the code of the road” is what you sing in Where Are You Tonight? To die before dying, shedding your skin, making new songs out of old ones. 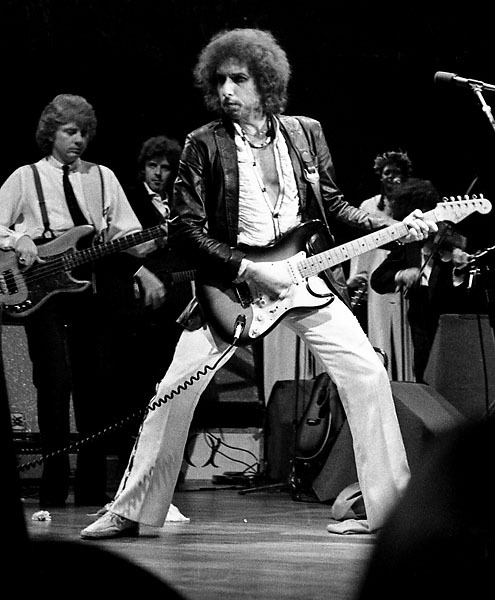 ‘Where Are You Tonight?’ stands alongside the best album-closers Dylan has written to order throughout his long career. 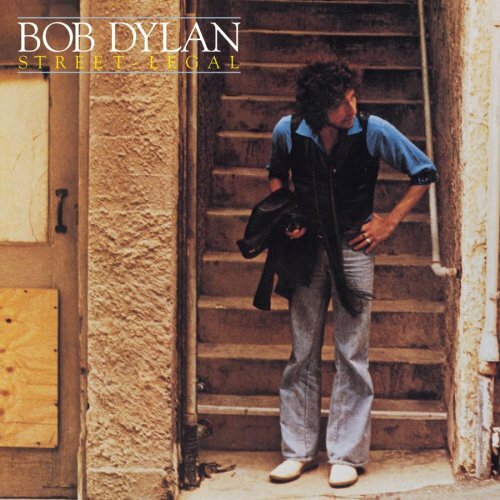 @#101 on my list of Bob Dylan’s top 200 songs. First known live performance: Blackbushe Festival, Surrey, England, July 15, 1978. ..at the end of Street Legal, with his final words before collapsing into the Christian years and his Eighties malaise. He asks the same question he used to ask Sweet Marie, but this is definitely the sound of a man on the brink of a cosmic breakdown. 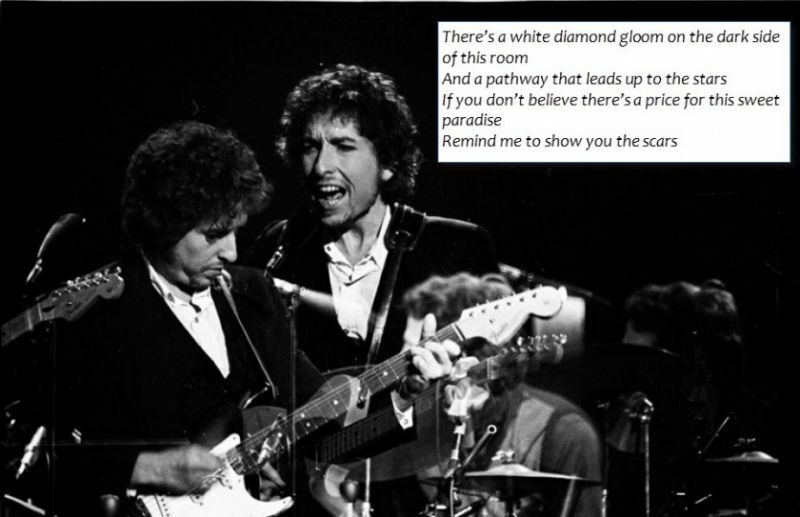 These lines address Dylan’s own struggle with temptation. It is a recognition that ‘you can’t hide on a dark street from the demon within’ – which was exactly how he described (to Ron Rosenbaum) the struggle Renaldo faced, in the film he was piecing together when he penned this other ‘Journey Through Dark Heat’. Those last four verses could almost be a belated coda to ‘Idiot Wind’. And like that song, one suspects he worked on them right up to the last minute. I still go back to that live Stockholm Syndrome version you posted a few months back in the “Street Legal Covered” material. So great to these ears. @ Beacon last year. Dylan and NY go good together. We need the baseball tour back this summer in the US. showman. Keep going Bob, you are America! I’ve heard this song dozens of times and never took the time to really listen to or read the words. Shame on me. Thanks a lot for this one. This song is incredible and does not get nearly enough recognition. Incredible closing track to an underrated album. Thanks for posting. I’ve heard it probably a thousand times over the years, mostly while driving. The passion flows through every time. It captures and conjures such pain and deliverance.